A protest over the weekend is just the latest in a series of attempts by “Keep It In the Ground” (KIITG) activists and New York Gov. Cuomo to stymie natural gas pipeline development throughout the state, despite the economic toll of limiting reliable natural gas supply to the region. This is the second time in less than a month that activists have protested National Fuel’s Northern Access Pipeline, whose construction has been delayed by the New York Department of Environmental Conservation’s (DEC) denial of a necessary water permit in April 2017. The Federal Energy Regulatory Commission overturned the state agency’s decision in August on the grounds that DEC failed to act in a timely manner. The $500 million pipeline would carry much needed natural gas from Pennsylvania’s shale fields to Western New York and Canada, and “will provide consumers with increased access to abundant energy supplies, while also improving reliability and resiliency of the energy grid,” according to the company. Despite the Cuomo administration’s repeated obstruction, natural gas continues to prove instrumental in meeting New York’s energy needs and reducing emissions. This contradictory approach to New York’s energy future was never more apparent than when the state banned high-volume fracking while simultaneously releasing an energy plan advocating for the increased use of natural gas the same week. 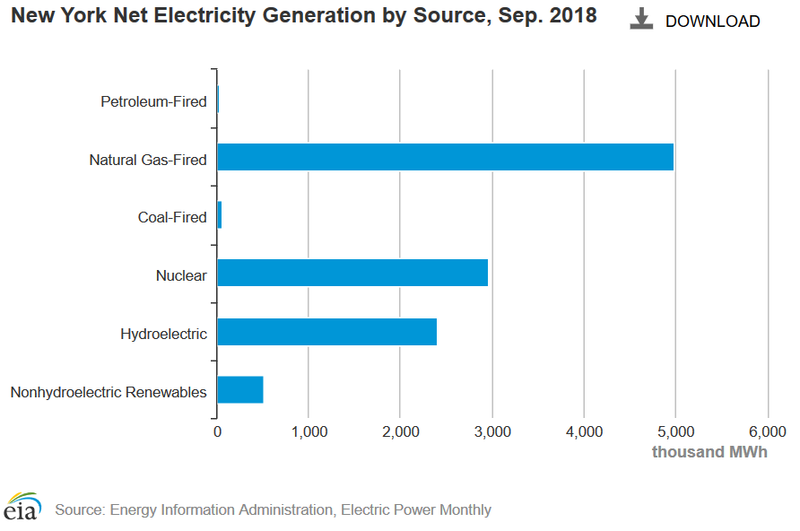 New York is the sixth-largest U.S. natural gas consumer and receives nearly 46 percent of its electricity generation from natural gas, yet it holds less than 0.05 percent of the nation’s total reserves. Expanded pipeline infrastructure is the safest way to meet this growing demand. A recent Global Energy Institute report shows the KIITG movement has cost the U.S. nearly $92 billion in GDP, $20.3 million in state and local tax revenue, and 728,079 jobs lost. However, no state has been more negatively impacted by KIITG efforts. The GEI report explains that Cuomo’s 2014 fracking ban wiped out 191,841 job opportunities – a workforce larger than the entire city of Syracuse – and stunted GDP growth. New York’s $52.6 billion in GDP contributions from “mining, quarrying and oil and gas” from 2005 to 2017 were but a fraction of neighboring Pennsylvania’s $597.5 billion. Delays to the Northern Access Pipeline alone have cost New York $1.6 billion in GDP, more than 10,000 jobs and $400 million in state and local tax revenues. Despite the abundance of natural gas in the Northeast from the Marcellus and Utica shales, New Yorkers and their New England neighbors pay some of the highest natural gas and electricity prices in the country, due to a shortage in pipeline infrastructure. Thanks to years of KIITG protests, lawsuits, and legislative efforts, Northeast residents pay 29 percent more for their natural gas than the national average. In 2018, New York residents paid nearly 50 percent more on average for their electricity. 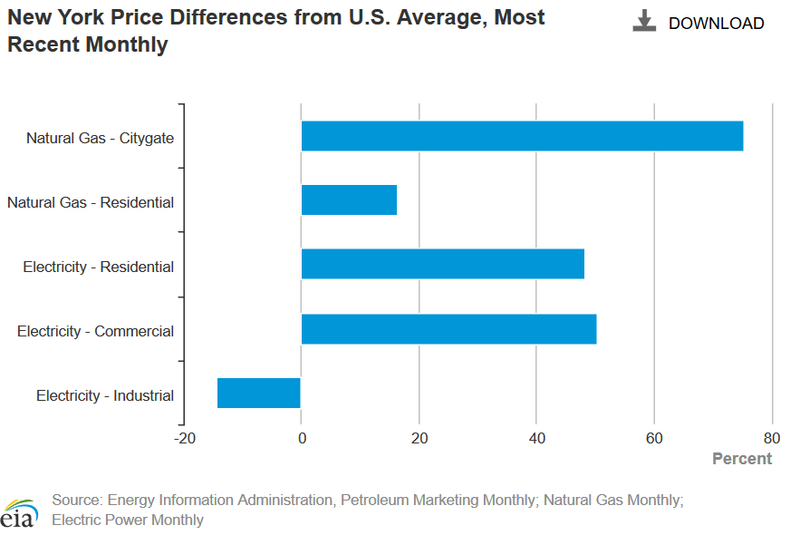 In contrast, National Fuel consumers have seen a 55 percent reduction in average annual electricity bills, thanks to increased regional shale production. The climate benefits of natural gas are undeniable. Methane leakage rates are far below the threshold for natural gas to maintain its climate benefits over other major fuels, and the switch to natural gas for electricity generation has helped the United States lead the world in decreasing carbon emissions to decades-low levels. In New York, CO2 emissions declined 40.1 percent from 2006 to 2016, thanks in part to natural gas’ increased share of the electricity generation mix. While “Keep It in the Ground” activists tout environmental concerns, their very efforts to block and delay natural gas pipelines have forced grid operators to turn to higher-emitting fuel sources to meet the extreme demands in the region. And it’s New Yorkers who are paying the consequences.